Is Co-Education is better for the Islamic society or not? Home Uncategorized Is Co-Education better for the Islamic society or not? Co-education means education of boys and girls in the same institution. In every country, we have co-education in one stage or another. Co-Education has been a success in West. 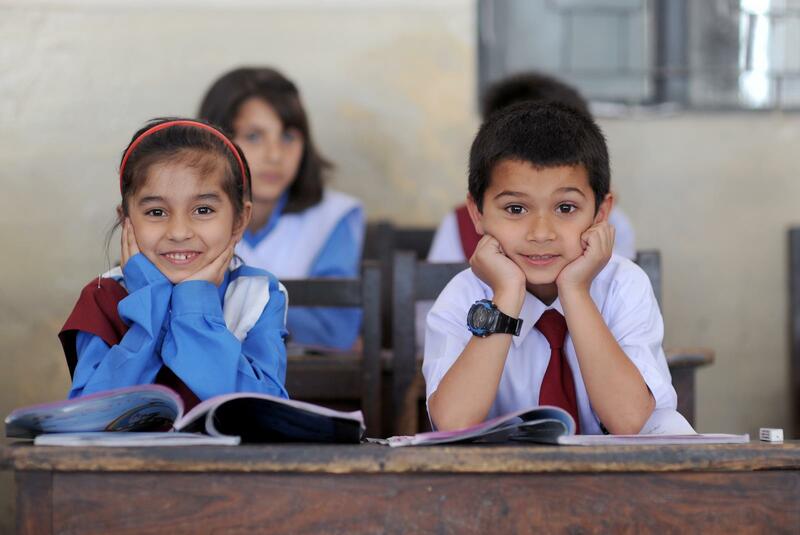 In Pakistan, We have co-education in primary schools, Colleges, and postgraduate classes. In High Schools, it is not considered advisable for the studies of boys and girls combined. Many Orthodox and religious minded people think that co-education leads to moral corruption. They think that students studies suffer set back and the colleges become lovers meeting places. According to those views, colleges do bad impact on the girls. According to their views, they always debate on this kind of topics that girls should do a study in separate institutions. They think girls started making relationships with boys and lose their concentration in studies and started moving opposite to their religious activities. There is little truth in the above argument that the studies of the boys and girls should not in the same institutions. Students can lose their studies concentration and started moving to the circles of relationships. But if we can see the western countries so they are developed and renowned in economic success and others rank they are in the top on the basis of co-education. The educated countries are developed and they have also a co-education system. They may have a lot of reasons how they are developed in education. There are following merits and de-merits of co-education.
. The education of boys and girls is totally opposite from all the religious restrictions.
. In Co-education system, Boys and Girls started making relationships with girls which is not allowed by Islam before marriage and also they started loosely their concentration of studies which can be affected on the Institute reputation and the reputation of Islamic countries in front of the non-Islamic countries.
. The people of the country and Government cannot build multiple institutes for boys and girls because it can not be afforded.
. It is the need of the hour that we should create a co-education environment ins institutes from the primary level because students can properly know how to behave with the girls from starting. When they would be postgraduate or high school students their behavior and thoughts about the girls would be positive.
. Co-Education do positive impact on the boys. They behave decently in co-education. They wear neat clothes and respect all genders.
. Co-Education becomes a good reason for the success of our society.
. Boys can concentrate well in studies because they can not accept the permissions of not doing homework in front of the girls. They started feeling embarrassment when they have to face permissions in front of the girls. Then they start doing homework well.
. Co-Education gives motivation to girls that they try to beat the boys in academics.
. Young ladies may have brought down confidence, more conventional goals and may pick occupations that will, in general, be more customary in nature rather than science-related occupations.
. Girls can develop their confidence for the debates and for the talking with boys. They started thinking positive and generate revolutionary ideas on their own.
. Co-Education system creates a decent environment in the colleges and schools. The strength of ruffians and lazy bluffers will be finished from colleges.
. According to science, girls have more intelligence from males, So the boys have a chance to get more inteeligence from them in studies or practices.
. So the conclusion is the advantages of co-education is more than the disadvantages. Islamic countries should allow colleges for co-education system it would be better for the development of the country. Moreover, Most of the colleges have a large absence of boys. They are not taking any interest in colleges but when they doing studies with girls they would be more punctual and started to compete with girls in studies. And institutes also gives Islamic studies to both genders in the same institutes. Next articleDo you want to make a new look like Gmail?